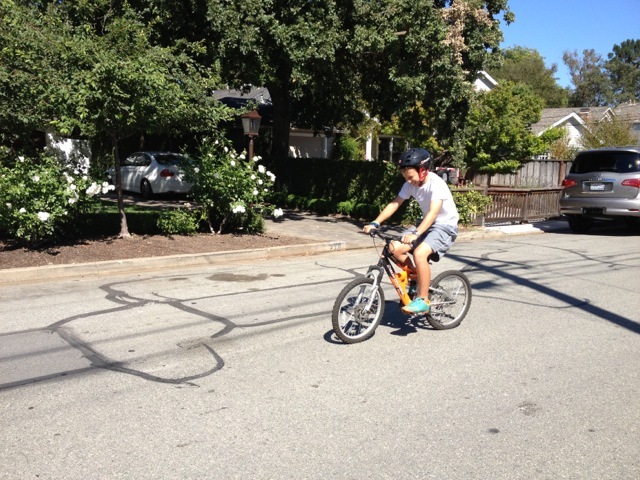 Watching my boys learn to ride bikes, I’m reminded of how hard it is to learn a new thing. Truth be told, I don’t really enjoy learning new things. It’s hard. At least at first. And it’s rare. Mostly we keep doing things we already know how to do. We do the same job but at a different company, with more direct reports, with a bigger budget. Maybe it is this instinct that drives so many new philanthropists to insist they are going to do exactly what they did in business to be successful at social change. To a hammer, everything looks like a nail. At first, they say that they want non-profits to ‘run more like business’ and they want KPI’s, elevator pitches and bottom lines. But they usually get quickly frustrated because the social change organizations are not exactly like business. A different context defines the problems and a different mind-set is required to approach the work. I’m reminded of a breakfast I attended with Patty Stonesifer, former CEO of the Gates Foundation a few weeks after she left the post. Amongst a crowd of foundation CEOs she very honestly talked about her journey from ‘expert’ to ‘novice’ and back again. She said that when she left Microsoft to run the Gates Foundation, she came in with all her product development skills blazing. She assumed that the failures leading to high infant mortality were exactly the same as product failures she’d seen in the past. So the solution was simply to create new products (develop new vaccines) and do better marketing. But over the first few years, as frustration set in, she realized that the inter-play of complex, societal problems – poverty, patriarchy, religion, political gridlock, incomplete infrastructure, corrupt elites – all of these conspire and lead to unacceptably high child mortality rates. So the singular solutions she initially thought to deliver, proved to be as naïve as her initial grant timelines. This is not to say that she retreated from her drive to create lasting change in health outcomes. Indeed many credit her leadership with setting Gates on its ambitious and innovative approach. But she had to take 10 steps back from her initial knowing state, to accept that philanthropy is not ‘just like business.’ She had to re-position herself as a novice, open to learning new context and results. Then and only then could she bring her other skills to the brew. Then and only then, could she innovate effectively. Indeed, the novice mind — open to learning new things – when coupled with previously honed skills is where innovation thrives. Yet the term novice is not a label many highly successful, wealthy adults willingly adopt. What steps can one take to open to the novice, innovative mind in philanthropy? Hire an experienced coach. Don’t go it alone. Every successful businessperson knows networks are essential so you know who to go to in order to get things done. The same is true in philanthropy. Don’t hire your old banker buddy or friendly lawyer. Hire staff experienced in the field to help you learn the landscape, meet the other players, and hit the ground running. Instead of just studying the problem, listen to the people. Many new philanthropists want to examine the data and then leap to a solution. Listen to people who experience the problem. Listen to nonprofit leaders. Ask probing questions, and then listen some more. Be Open to Being Surprised. Many of the most effective approaches to solving difficult social problems are counter-intuitive. Admitting something is new and hard and frustrating requires a huge amount of humility. It requires that we embrace or at least admit our own ignorance in order to prepare for new knowledge. But let’s face it: philanthropy needs innovation. And innovators, no matter how successful in other fields, need to find their inner-novice to lead the way.